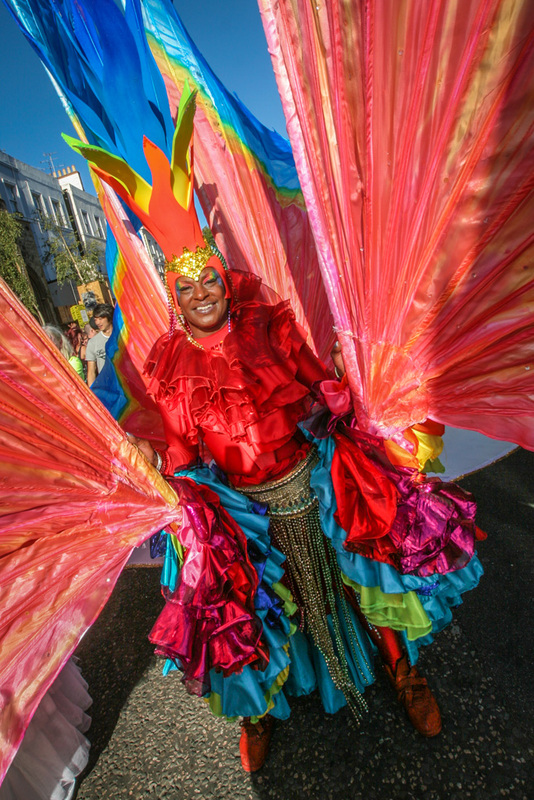 The very colorful costume of a Notting Hill Carnival participant. The festival takes place in late August on the streets of Notting Hill in London. A barrel of Nihonshu (Japanese Sake) is hammered open to start the day's festivities at the Ombashira festival in rural Japan.